Beyond the ‘fiscal cliff’ in the United States, there is plenty of international news taking place in January. 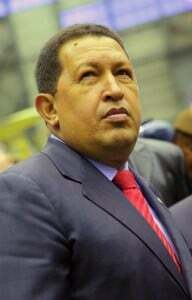 On 10 January, Venezuelan President Hugo Chavez is due to commence his third term in office amid increased concerns about his health. Concerns are exacerbated by his decision to nominate his Vice President and Foreign Minister Nicolás Maduro to succeed him should anything happen to the firebrand former army colonel. Barack Obama, meanwhile, is due to commence his second and final term as US President on 21 January when he delivers his inaugural address. Although there is a ceremonial swearing-in on the big day, he will actually take the office a day earlier in a private ceremony. In Israel, Prime Minister Binyamin Netanyahu will be hoping to emerge victorious from parliamentary elections, due 22 January. Former Foreign Minister Tzipi Livni has returned to politics ahead of the poll, abandoning Kadima and founding a new party Hatnua. Finally, in Addis Ababa, African leaders convene for the African Union’s leaders’ summit. They will have plenty to talk about, from Islamist militants in northern Mali, foreign backed militants in eastern DR Congo and ongoing tensions between Sudan and South Sudan, to name but a few. Viewers worldwide will struggle to understand once again the rules of American Football when the Super Bowl takes place on 3 February. Expect much chat too about the adverts between the match’s interminable breaks. 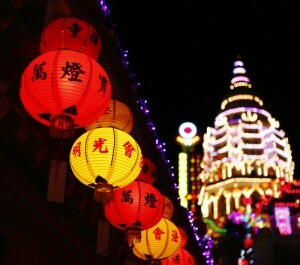 On 10 February, it is the Chinese New Year, this year being the Year of Snake. Ecuadorians will cast their votes in presidential and parliamentary elections on 17 February, with incumbent Rafael Correa seeking re-election. Finally, the first part of the long-awaited civil trial over the Deepwater Horizon oil spill in the Gulf of Mexico back in 2010 is scheduled to begin 25 February. Assuming he is re-elected, March will see Israeli Prime Minister travel to the United States to address the American Israeli Political Action Committee (AIPAC) Policy Conference, the highlight of the influential lobby group’s calendar. Addresses by President Obama and his new Secretary of State are all but inevitable. The conference runs 3-5 March. In the UK, the long-awaited Al-Sweady Inquiry is scheduled to open on 04 March. The inquiry relates to the detention of Iraqis on 14 May 2002 following a firefight at a vehicle checkpoint known as Danny Boy. Some 20 bodies were returned the following day but it is unclear how many were killed in the firefight. Kenyans go to the polls to elect a new president on 04 March. Last time around, the election resulted in widespread violence as the then-incumbent Mwai Kibaki refused to concede to challenger Raila Odinga. The region will be hoping for a more peaceful process this time around. 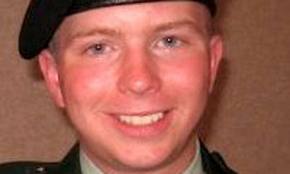 Finally, back in the United States, Private First Class Bradley Manning’s court martial is scheduled to get underway over allegations that he was responsible for divulging vast swathes of confidential information to the whistleblowing website WikiLeaks. British Foreign Secretary William Hague will host his counterparts from the G8 on 10 April, with a summit following later in the year. With global economic woes set to continue in 2013, the World Bank and IMF Spring Meetings will see the world’s top financial experts convene in Washington DC from 19-21 April to discuss possible remedies. A slew of economic forecasts will come out in the days leading up to the formal meetings. On 21 April, Paraguay holds presidential and legislative elections that follow the ousting of then-President Fernando Lugo in June 2012 over a botched operation to evict landless farmers from land they were occupying. The so-called ‘mini-coup’ was widely condemned by Paraguay’s regional neighbours. 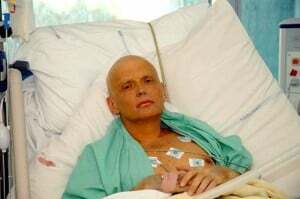 An inquest opens 1 May into the death of Russian spy Alexander Litvinenko, who died on 23 November 2006 in London after being poisoned with the now-infamous Polonium-210. Many suspect Russian governmental involvement. On 8 May, Madagascans will elect a new President in delayed elections. Newsreaders will once again have to get their heads around such names as Marc Ravalomanana – the former President – and Antonanarivo – the island’s capital. The Cannes Film Festival begins on 15 May, where Hollywood A-listers mix with unknown actors to compete for the prestigious Palm D’Or, which will be awarded on 26 May. Finally, politics and entertainment collide on 18 May when the grand final of the Eurovision song contest takes place. The Swiss entry this year features a 94-year-old, yes, 94. With Iran’s nuclear programme likely to feature prominently in 2013, amid talk of an impending Israeli attack, there will be intense interest in who will be elected to replace Mahmoud Ahmadinejad as president when vote opens on 14 June. In reality, the outcome is unlikely to make much difference since the country’s nuclear policy is widely thought to be controlled by Supreme Leader Ayatollah Khamenei. Three days later, on 17 June, the G8 summit takes place in Northern Ireland, hosted by British Prime Minister David Cameron. It represents a historic moment for the once-troubled province. Finally, Prince William, the Duke of Cambridge, turns 31 on 21 June. Of course, this will be dwarfed by interest in the Duchess of Cambridge’s pregnancy, which will have reached hysterical levels by this point. Expect wall-to-wall coverage.